Xiaomi has announced a permanent price drop of Rs. 1,000 on its phablet Mi Max 2 in India. The Mi Max is available in two variants 4GB/32GB and 4GB/64GB and the price drop is available for both the variants. Xiaomi Mi Max 2 is now available at as low as Rs. 13,999 for the 32GB storage version. To recall, Xiaomi had launched the Mi Max 2 4GB RAM / 64GB storage variant in India back in July. However, later in September the company also launched the 32GB storage variant of Mi Max 2 in India. The phone is available on major e-com stores and Mi.com along with Mi home stores. Xiaomi India Managing Director, Manu Kumar Jain earlier today announced the price cut on the Mi Max tweet via his twitter handle. “BIG now costs less! Announcing a permanent price drop of ₹1000 on both variants on #MiMax2. The best selling >6″ phone! Get one today,’’ wrote Manu in his tweet. The Xiaomi Mi Max 2 features a full metal unibody. The phablet comes with a big 6.44 inch full HD (1920 x 1080 pixels) IPS LCD display with Corning Gorilla Glass protection. The dual-SIM phone runs MIUI 8 based on Android 7.1.1 Nougat. It is also scheduled to get MIUI 9 update very soon. Coming to the hardware, the Mi Max 2 is powered by an octa-core Qualcomm Snapdragon 625 processor coupled with Adreno 506 GPU. Memory wise, the phone features 4GB RAM along with 32GB or 64GB inbuilt storage. The storage is also expandable with microSD. In the camera department, the Xiaomi Mi Max 2 sports a 12 MP rear camera with Sony IMX386 sensor with f/2.2 aperture. Other camera features include PDAF, dual tone dual LED flash and support for 4K video recording. The phone features a 5MP front camera with f/2.0 aperture and 85-degree wide angle lens for selfies. Connectivity options on Mi Max 2 include 4G VoLTE, dual-band Wi-Fi, Bluetooth v4.2, GPS, USB Type C, NFC, and an Infrared sensor. The phone features 3.5mm audio jack and stereo speakers for an immersive experience. The Mi Max 2 houses a massive 5,300 mAh battery with the support for Qualcomm’s Quick Charge 3.0 technology. 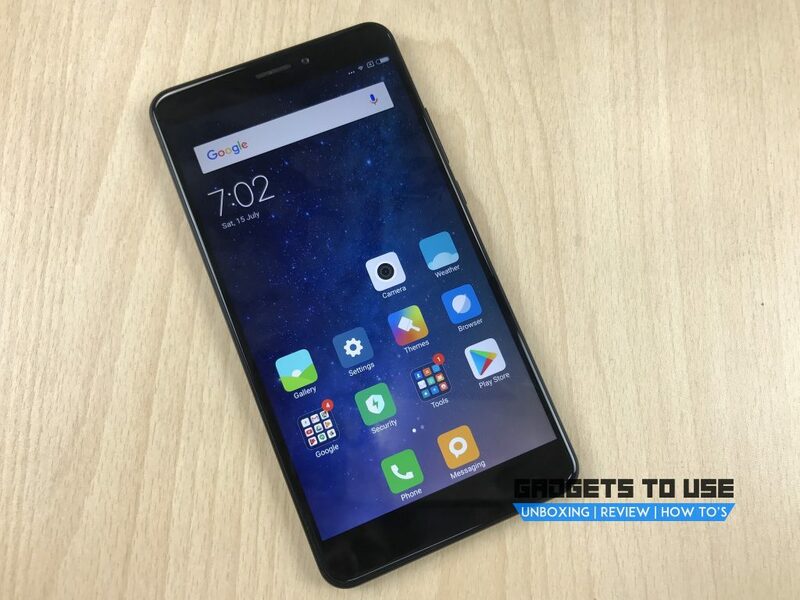 The Xiaomi Mi Max 2 4GB RAM + 32GB internal storage version was earlier priced at Rs. 14,999, but now will be available at Rs. 13,999 only. Similarly, the 4GB+64GB version which was priced at Rs. 16,999, will be available at Rs. Rs. 15,999. The phone can be purchased from Amazon India, Flipkart, mi.com and Mi Home Stores. The phone comes in Black color only.